The passage of time is mighty sneaky. I realized November 2016 was the 20th anniversary of my first career job. Desperate to work at a software company, especially after reading Microserfs by Douglas Coupland, and having just received a diploma in Computer Systems Management, I was hired as a tech support rep at Seagate Software in Vancouver. The product we supported? None other than Crystal Reports. It’s unusual, these days, to have a single software application buoy one’s entire career. That’s a testament to the value, utility, and quality of that program. It’s also further evidence that it takes 10,000 hours to achieve mastery. In realistic terms of day-to-day practice 10,000 hours is about 10 years. And now I’m at 20 years. A job or profession that someone does for a very long time. I’d say that’s how most of us think of the word “career”. And I almost dumped my career due to that line of thinking. About five years ago, I started getting very bored with what I was doing in my career, this thing I’d been doing for a very long time. Don’t get me wrong, though. I was very proud of the work that I’d done to help my customers. I was, and am, grateful for the lasting friendships I’ve forged with customers and colleagues around the world, and all the unique experiences we’ve created both inside and outside the work environment. It’s just that I couldn’t see myself doing only that for another 20-30 years. Besides, there are limits to what one person can produce and to how long I can sit on my arse in front of a computer. And I’d reached those limits. Something that has kept me from getting bored is engaging in education. I especially love learning alternative, cutting-edge ideas on how to live a better life. 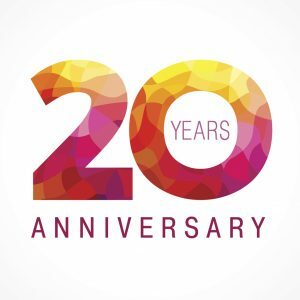 So this 20-year anniversary coincides with a 5-year anniversary of learning a new, yet very fundamental, approach to achieving satisfaction in many areas of life. It’s called Transactional Competence, and it’s found at Influence Ecology. Without it, I doubt I’d be celebrating the big 2-0. Here’s how Influence Ecology defines “career”: it’s the help one is known for in specific groups or ecologies – one’s identity in the marketplace. It’s an unavoidable condition of life all functioning adults must deal with. It’s also very distinct from two other unavoidable conditions, ones that are usually collapsed with career: Money, and Work. Discovering that I could transact to be known for some kind of specialized help allowed me to expand my thinking and acting about how I wanted to be known. Consequently, I was also able to earn more money. What’s so special about specialization? Well, everything. When you want your home’s toilet fixed, you want someone with loads of experience who can quickly and accurately identify and solve the problem. You want a residential plumber. You don’t look for a general contractor. Five years ago I truly believed I was as specialized as I could get. I was known as the Crystal Reports Goddess. That started out as a catchy thing to say, but then a former boyfriend registered the URL as a surprise gift. It stuck. I really was one of a handful of go-to-folks for Crystal Reports. And I really am great at designing and building amazing database reports. Sometimes what I come up with reminds me of what Charlie Parker said about playing music. Yes, I probably sound arrogant – but from what I’ve learned in my studies about Transactional Personalities, arrogance is both an asset AND a liability. It’s not a surprise I was frustrated by the constraints of being an employee, that I get bored easily, or that I have enjoyed the thrill of parachuting into the back-end systems of hundreds of organizations. A consultant is expected to navigate many different database systems, and quickly identify database structure, bad design, dirty data, and possible solutions – within hours of arriving. Not to mention ferreting out who needs what data, and in what format. All of this is simply puzzle-solving, and for me, that’s pure fun. So clearly I was a specialist. And now I was being challenged to specialize even further? You can read the story of how I arrived at my new hyper-specialization in this post – but the short version is that we build custom reports and dashboards for QuickBooks – ones that QuickBooks actually can’t do. We use a third party tool to work our magic. Making that leap to super-specialization produces often unexpected benefits. The first is that it becomes incredibly easy to articulate what you do: We do one thing. And in our case QuickBooks is well-known enough that people instantly grasp what we do. They will even say “Oh – I know someone who could use your help.” They also tend to recall what we do long after we first meet, simply because we’re the only ones doing it. We only have to learn one system. It’s easy to install, easy to teach, and easy to maintain. It’s a system that doesn’t accommodate many customizations. This means we are dealing with the same system with every customer. That helps maximize our efficiency. Even when they use it slightly differently – or even incorrectly – we are so familiar with it we can identify the differences very quickly. Our own systems are less costly to support. We need just three applications to do what we do. We can work remotely and deliver remotely. No centralized systems required. We don’t need to sell our solution. We just need to make the right people aware of it. When they come to us, they already know about the problem. I think I can now bring these ideas full circle – back to career. Applying what I’ve learned with Influence Ecology has, without a doubt, enhanced my career, as well as my enjoyment of it. It would have been a tremendous waste to turn my back on 16 years of specialized knowledge, experience, and good reputation just because I was bored. But I’m one of the fortunate ones who had focused enough to have a career foundation on which to build. I know plenty of lovely, ethical, hard-working people who are all over the map when it comes to career (and subsequently, money). I fear Millennials, if what the media says about them is true, jumping from job to job dissatisfied if not given promotions, raises, or sufficient responsibility, will suffer from misguided, incorrect thinking about career, work, and money. There is another dimension they may need to learn and practice, and that’s Transactional Competence. I’m grateful for the meaningful work I’ve been able to contribute to the success of my customers. I’m grateful for being treated fairly and well in the many environments I’ve worked. And most of all I’m grateful for the fortuitous introduction to the curriculum at Influence Ecology. Looking forward to the next 20 years!